16 slip covered boat dock in a quiet cove off the main lake channel. 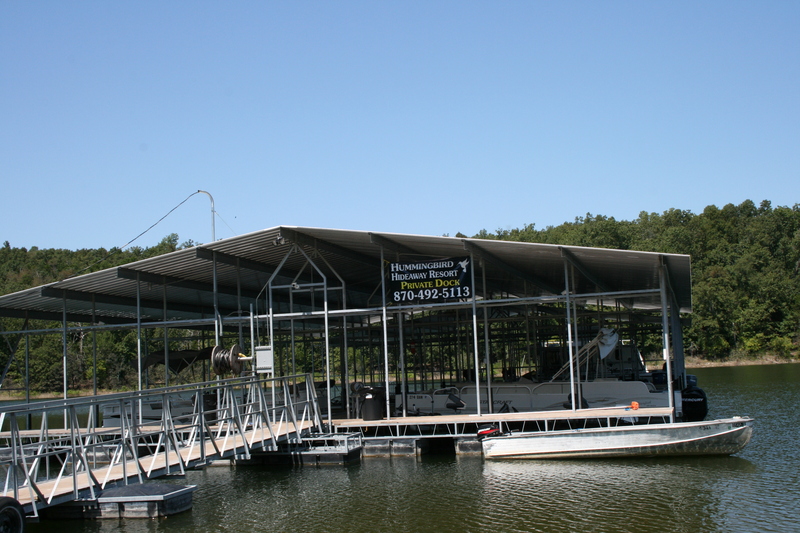 Concrete boat launch and large parking lot dockside. Plenty of lights for night time activities. Each slip has an electric outlet to charge your trolling motor. Swim and fish platform. Fish cleaning station with electric water pump. 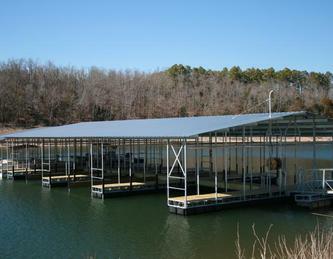 All stalls are 10 feet wide to accommodate all styles of boat.